I've been wanting to head to this little cafe in the heart of Camden ever since it hit the news a couple of years ago. Naturally it faced a lot of bad press because y'know over £3 for a bowl of cereal is obscene, according to news reports. But when you really think about it - is a fiver for a meal and a drink plus service and a fab atmosphere in Central London really a bad price? Er, no. The basic premise of the cafe is that is sells cereal. Only cereal. Over 120 cereals. From all over the globe. Got your attention yet? Then you have over 30 varieties of milk. And then you have over 20 toppings. 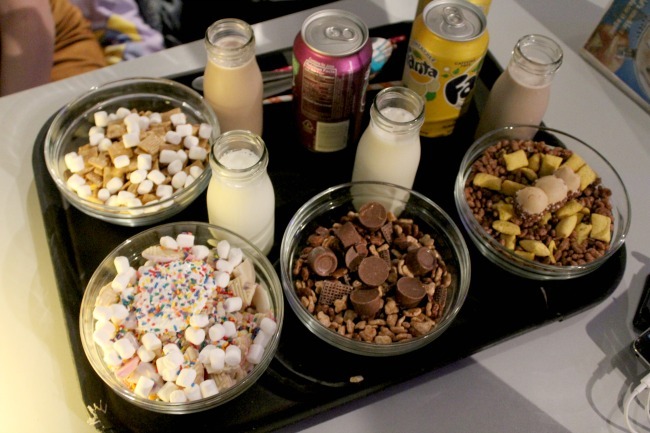 Basically it's cereal lovers' heaven. They even have totally vegan options. And y'know, actually more than one - total madness. I'm such a ditherer that I had to look up the menu of course. Here I found a zone of glory: the cereal cocktail section. Sadly this was alcohol free, BUT this is where the creators of The Cereal Cafe get let their passion run wild. 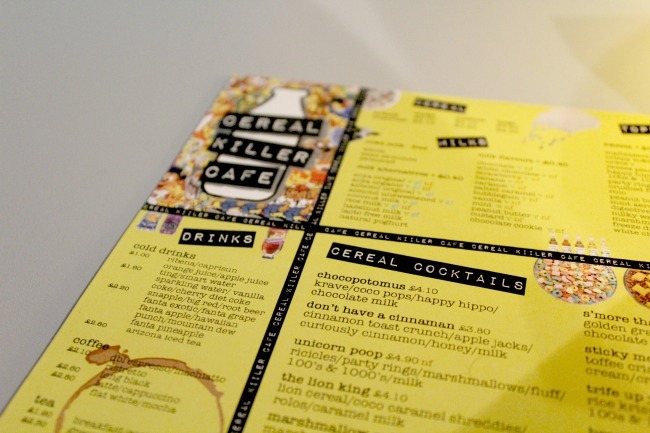 The cocktail menu is a mixture of complementary cereals, milks and toppings. I went for unicorn poop (all the sugar), which was made up of ricicles, mini marshmallows, marshmallow fluff, broken-up party rings and hundreds & thousands. Like is that heaven or what?! 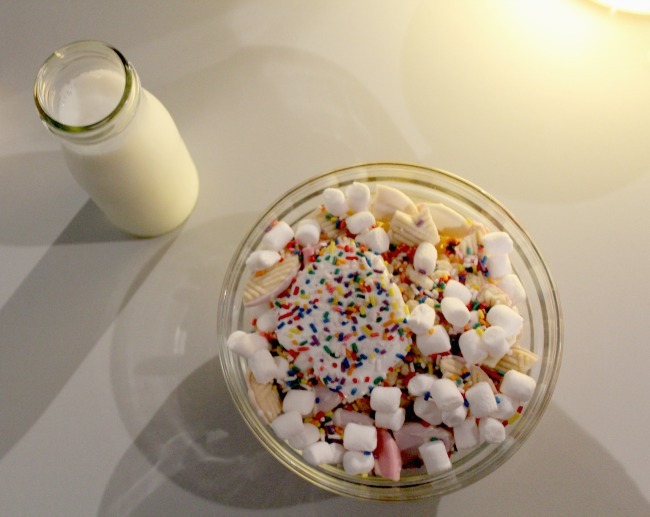 All of us chose a different cereal cocktail, which comes in clear plastic bowls with the cutest little milk bottles so that you can choose how much to add. Once you got over the whole cereal-ness of the place, you're then hit with the unique decor. All 120 cereal boxes line the shelves around the front counter, and they look INCREDIBLE. Then, as you move into the back of the cafe where the seating is, you pass a spice girls wallpapered selfie wall, more cereal memorabilia and general '90s funk. Our table had a VHS case as the reserved sign, a nightlight lamp in the centre of the table, and we sat on kids beds with '90s duvet covers on. There were Super Mario, Bart Simpson and Powerpuff Girls covers to name just a few. 100 points for '90s nostalgia here. 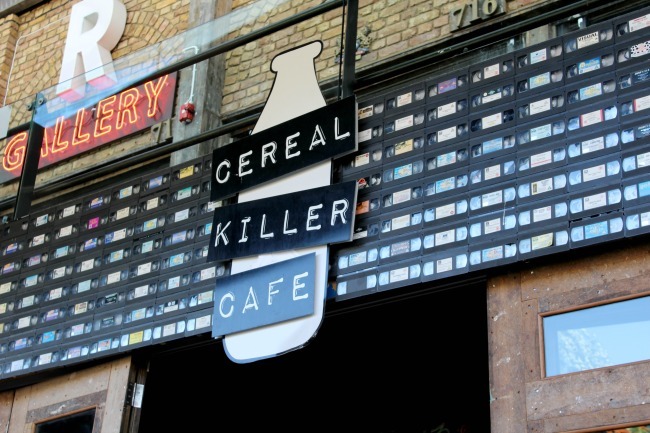 Seriously though, I had the best time at the Cereal Killer Cafe, and I would totally recommend going there if you head to Camden. It's hidden near the lower entrance to the Stables Market and is definitely one of the town's hidden gems. I've passed this little cafe dozens of times, but did not realise there was seating inside! 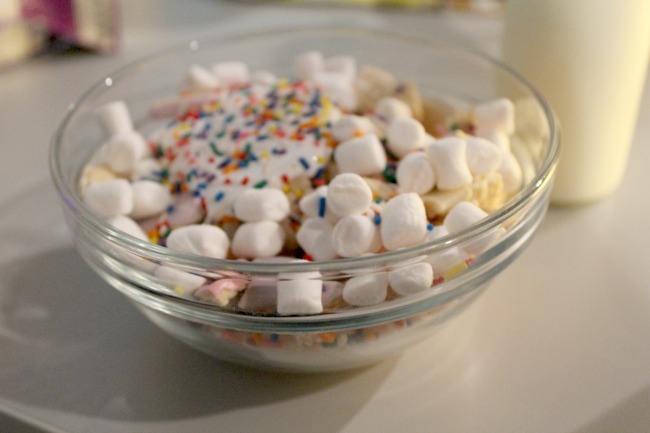 I'm a huge breakfast fiend - and often have cereal as a snack - so this is totally up my street! Also, party rings on cereal?! Yes please. This is so new to me but it actually sounds like such a great place to go! I often crave cereal as a snack and I'd love to go here and have so much choice, will have to go next time I'm down South! I've still not been here but slightly tempted! 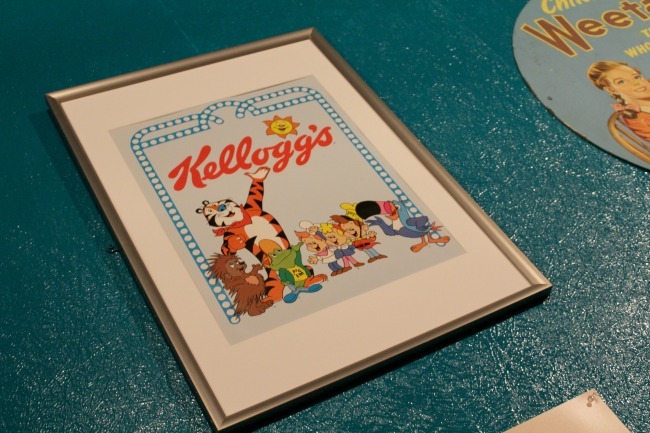 I also loved your reference to the 'cereal-ness of the place' hahaha!